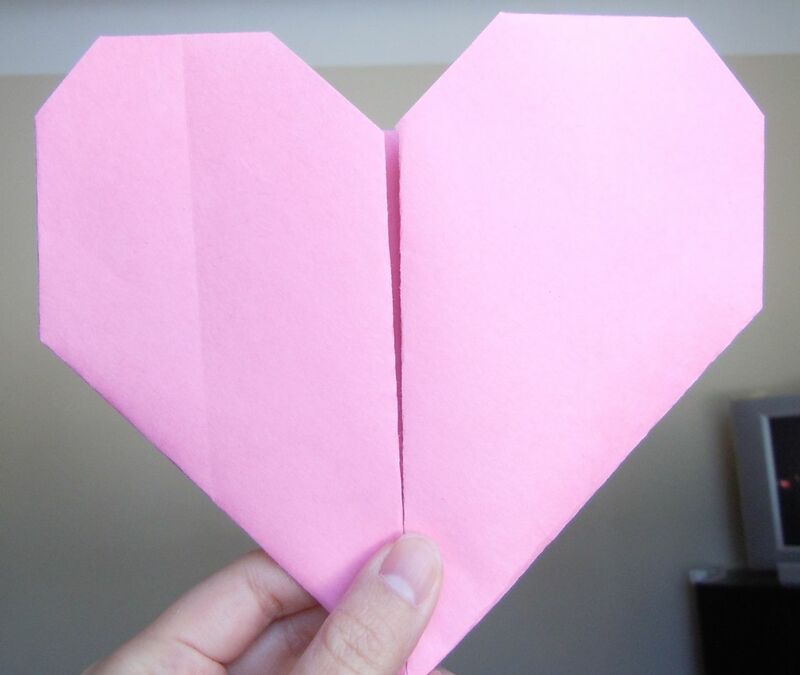 Happy Valentine’s Day, Dear Readers! Are you doing anything special? We are leaving the kids with a babysitter and going out for some fondue… yum! Check out my valentine’s posts from 2011 HERE and HERE. 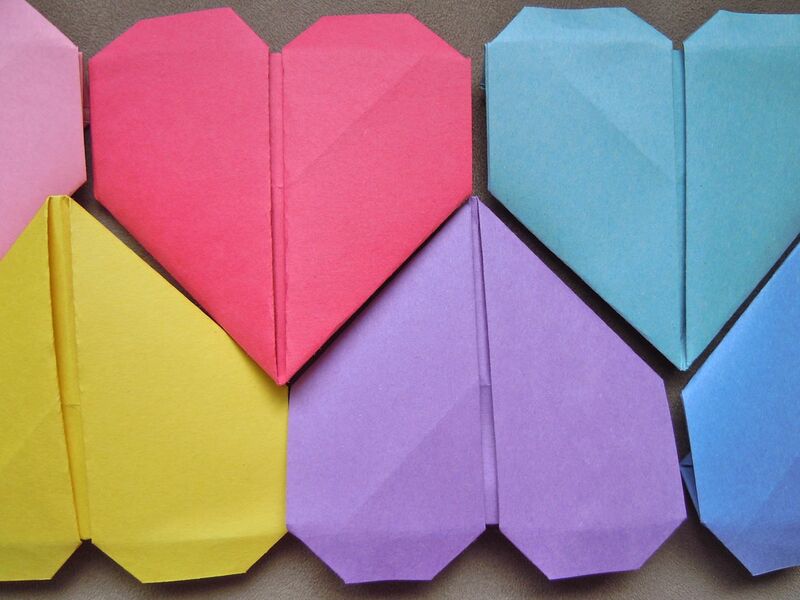 Make Valentine’s cards and boxes at NIFTY. More cards, boxes, etc here, here, and here. Read more about Valentine’s Day in Japan here, and ways to say “I love you” in Japanese here, at About.com. 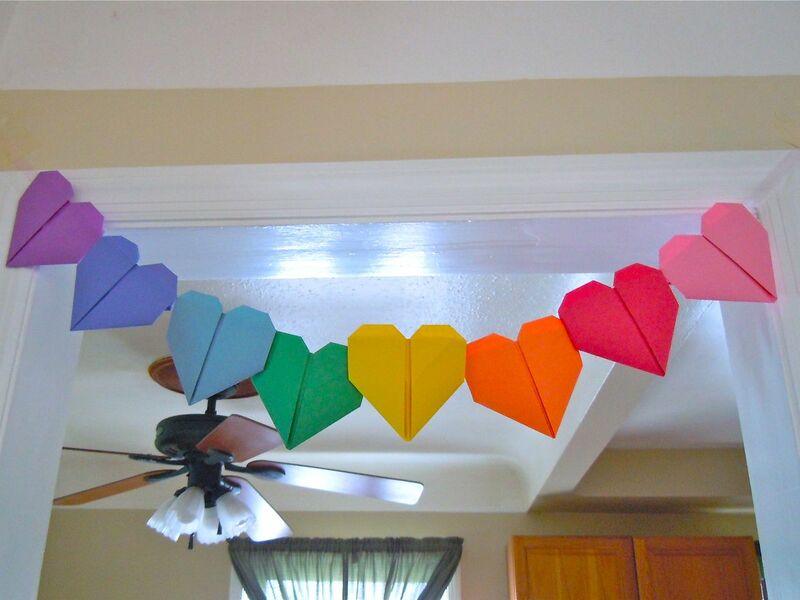 I was inspired by this origami necklace tutorial and made this heart garland for a Valentine’s Party we’re hosting tomorrow. 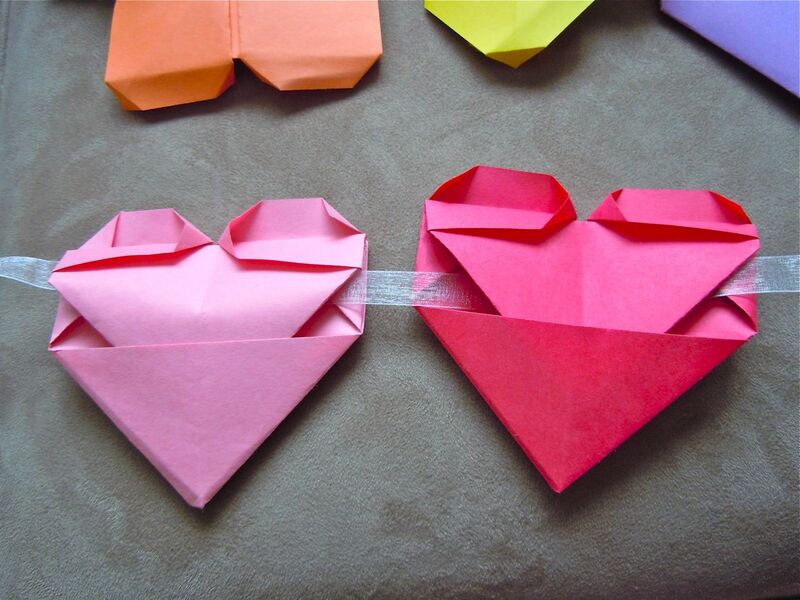 It was easy and only took about 30 minutes, some colorful paper, and a piece of ribbon. (Click here to read my Valentine’s post). Have a wonderful day with the people you love! 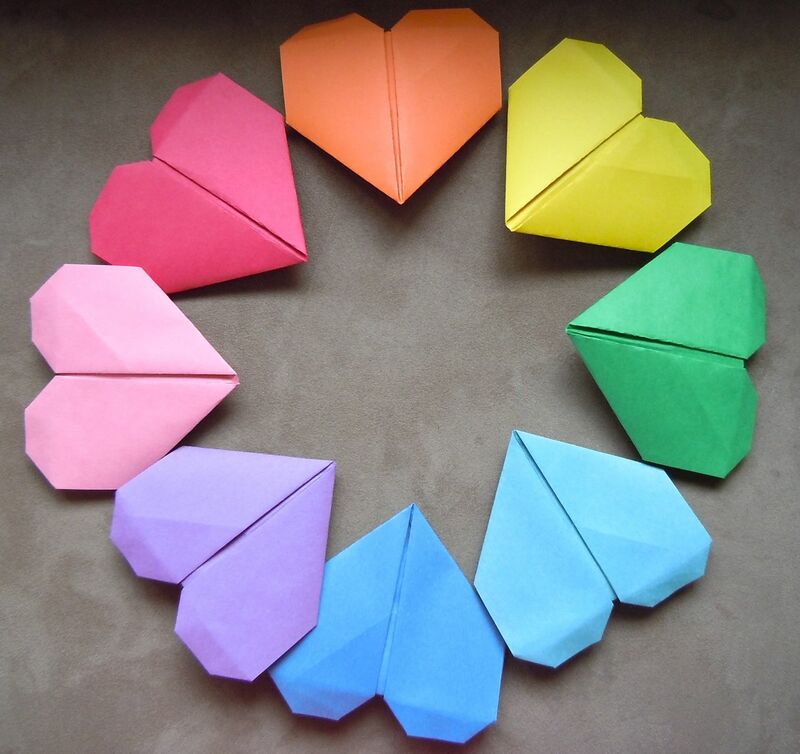 You can purchase origami HERE.